Arrived in Rayne Lousiana a week ago for a rally. 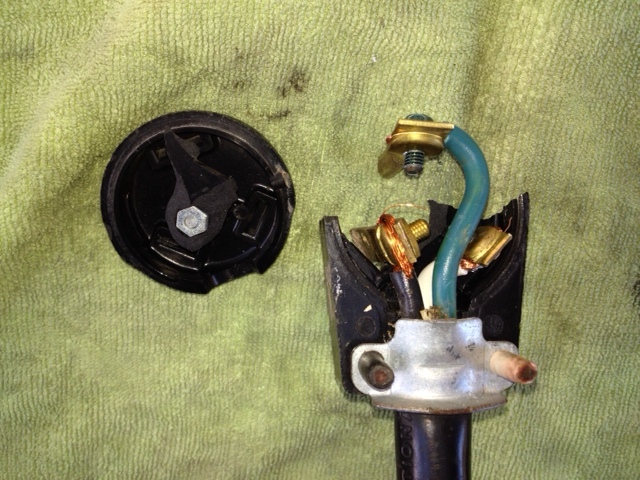 Tried to plug our 30amp cord in for power to the trailer and the 30 amp plug disintegrated in Jim’s hand. We replaced the oem plug four years ago with a hard plastic one and it seemed okay although it was really difficult to unplug from adapters sometimes. Now it became unusable and unrepairable. Fortunately Herb and Lois, full timer friends, were waiting for us and had an adapter we could borrow. We used our 20amp cord (an old 12-3 heavy duty 3-wire tool cord) to power the trailer for the duration of the rally. 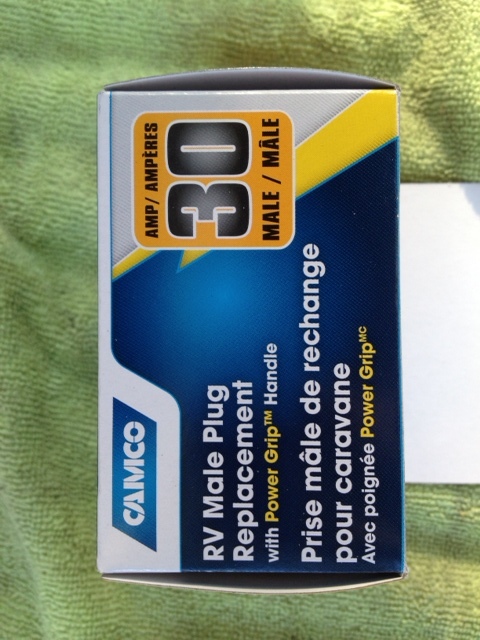 Today, driving east on I-10, we stopped in Camping World and found a great looking replacement 30a plug. Jim spent fifteen minutes replacing the plug and we’re back in business. The 20a cord works fine for everything we used during the past week. Our voltage remained above 120 volts even when using the 1,500 watt space heater. The weather stayed cool enough that we didn’t even consider turning on the air conditioning. The weather was very cool last Tuesday, 16 degrees overnight. Finally today we saw temperatures above 71 degrees as we towed east. We’re headed for Florida, with a side-trip to NC for some exciting developments we’ll talk about next. 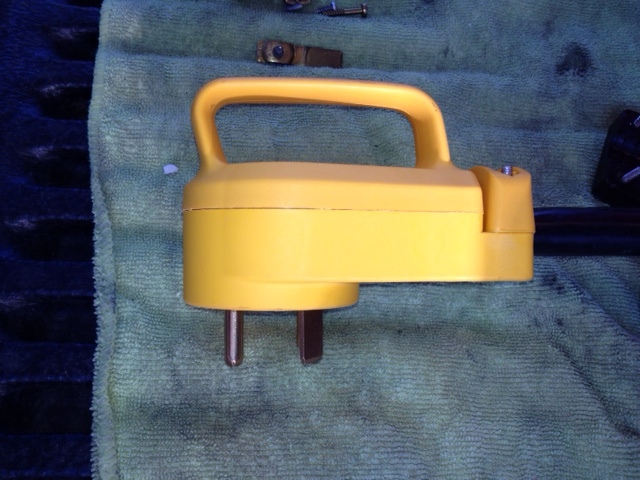 In case you’re interested, here’s the replacement 30a plug we bought. It is especially nice because it has a D-handle to ease pulling it. Glad to be back! See you soon.